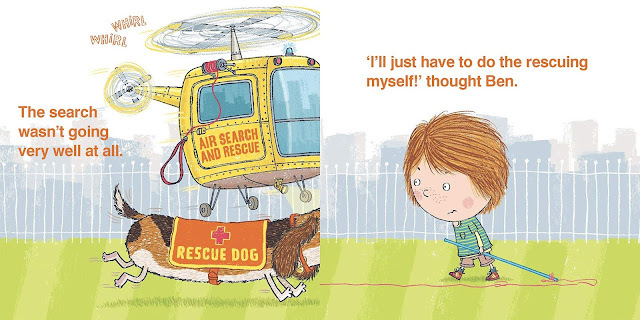 Those of you unfamiliar with Richard Byrne's fabulous "This Book Just Ate My Dog!" 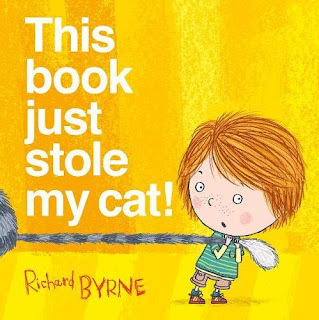 might not know what to expect with this ticklish and entertaining story, but Richard once again cleverly breaks the fourth wall of picture books in "This Book Just Stole My Cat!" A little girl has a five-bell alarm going on. A nefarious invisible force has robbed her of her favourite pet. It can't be seen, it can't be stopped, it can't be reasoned with. It's a...it's a....it's a BOOK! Well, OK unless you've had a heavy book fall on you or you've inadvertently trapped your tenderest bits in a book on accidentally slamming the cover closed (easily done, we know) you might not understand what a ruthless predator a book actually is. But Ben and Bella know! 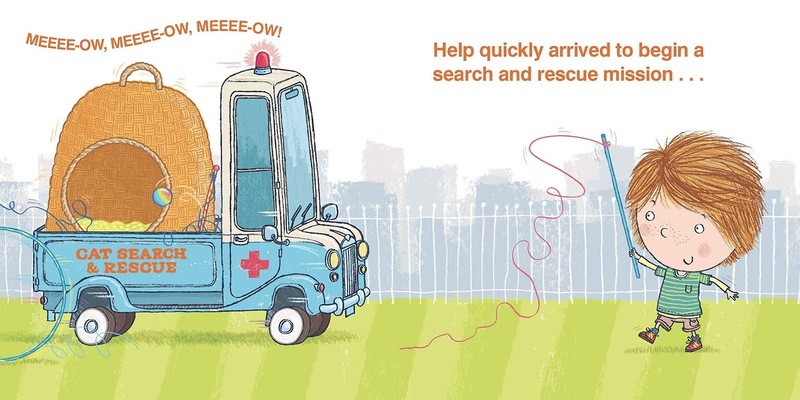 You see once you get to a page-turn or the fold in the middle of a book, it's curtains for you, little kitty! 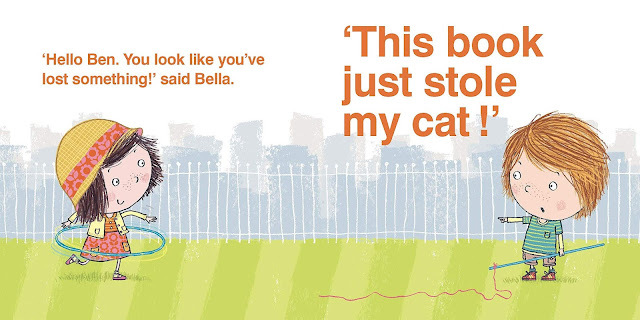 My cat's been stolen! Someone call the CSR! Such a huge amount of fun. Best not to let your moggy anywhere near it though, just in case! "My dog has lost his nose!" - How does he smell? "HORRIBLE!" "This Book Just Stole My Cat" by Richard Byrne is out now, published by OUP / Oxford Children's Books (kindly supplied for review).